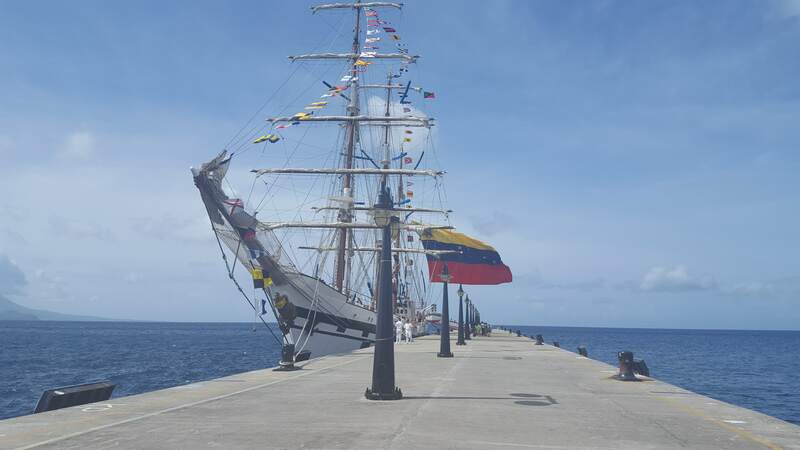 BASSETERRE, St.Kitts- On Wednesday 7th June, a top Venezuelan navy training ship known as Simon Bolivar, docked at Port Zante for its first visit to the federation of St.Kitts-Nevis. The Embassy of the Bolivarian Republic of Venezuela hosted a welcome reception onboard the Class A tall ship that evening following the official meet and greet session involving local and foreign officials that morning including resident Venezuelan ambassador Romolo Henriquez and his wife Ludmilla Torres as well as resident Cuban ambassador Hugo Ruiz Cabrera and Police Commissioner Ian Queeley. That morning, this media house paid a visit on-board the vessel also. Among other visitors were students of Grade 4 of the Tucker-Clarke Primary School (formerly Newtown Primary) along with teachers. During an interview with Ambassador Henriquez, he explained that the school ship is making a cruise around the Caribbean with the officials of the army. St. Vincent and the Grenadines and St. Lucia are part of the island stops also. 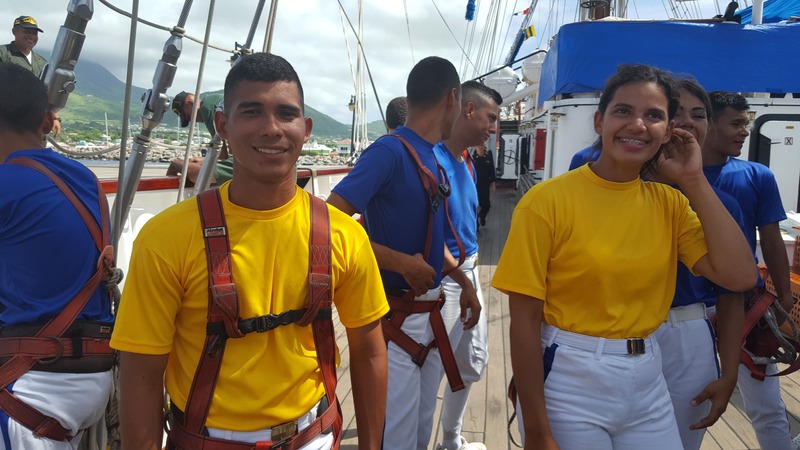 A cadet, Rodriguez Miguel who operated as a tour guide for the students and teachers, informed this media house that the ship has three decks. He expressed that they were happy to visit the island.